Practice Practice Practice: New Balance Minimus Trail Giveaway! 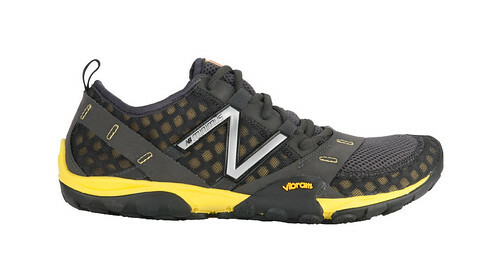 New Balance Minimus Trail Giveaway! Short post for Sunday, but not really off topic... I will come up with something fun and random to share next week, but this is pretty great! There is a giveaway going on at one of my favorite running blogs Running and Rambling for the new New Balance Trail Minimus. Its part of New Balances new line of minimalist shoes. If you don't know what all the fuss is about minimalist shoes check out Running and Rambling, Donald over there is a dedicated minimalist or even sometimes barefoot runner and has some good information on the topic. This is something I will likely be talking about around here as well, I have had some issues with traditional running shoes that I am trying to work through. If you are interested in the giveaway just go here and leave a comment to enter!